What is Phonics? A simple explanation for parents. At Holy Trinity we follow the 'Read Write Inc' scheme which provides a structured and systematic approach to teaching literacy. It is used by more than a quarter of the UK's primary schools and is designed to create fluent readers, confident speakers and willing writers. Before beginning the 'Read Write Inc' scheme children first develop their speaking and listening skills which lay the foundations for phonological awareness. They will learn to listen to and make environmental, instrumental, body percussion and voice sounds. Throughout the year children will develop their awareness of rhyme and alliteration through games, stories, rhymes and poems. The children are taught the sound (phoneme) that the letter makes when it is pronounced rather than the letter name to begin with. This is to stop confusion when the children begin to blend (to read) and segment (to spell). Each sound has a picture and an accompanying phrase which helps children to recognise it and remember how to write it. As soon as the children have been taught the first 5 sounds they begin learning how to read and write simple words (mat, sad, mad). As children learn more sounds and become more confident with blending and segmenting they begin to learn to read and write more complex words with adjacent consonants (trick, flag, blend). They also learn to read nonsense or alien words (vup, mox, flep) which help to develop their phonic skill. They begin to read short sentences and stories and develop their writing and comprehension skills through related activities. These sounds are called digraphs (two letters making one sound) and trigraphs (three letters making one sound). 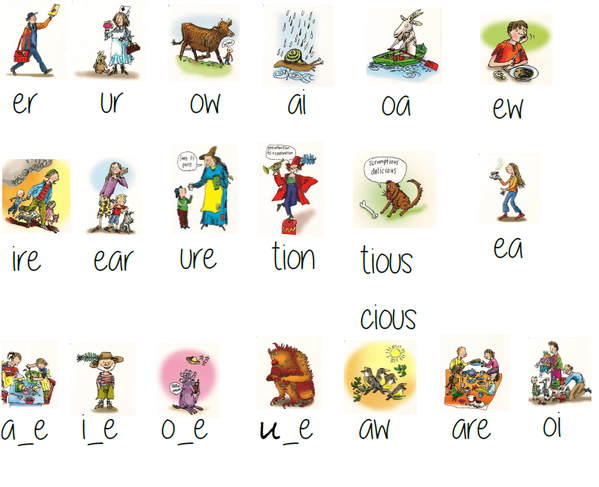 The children learn to read and write these sounds in words. 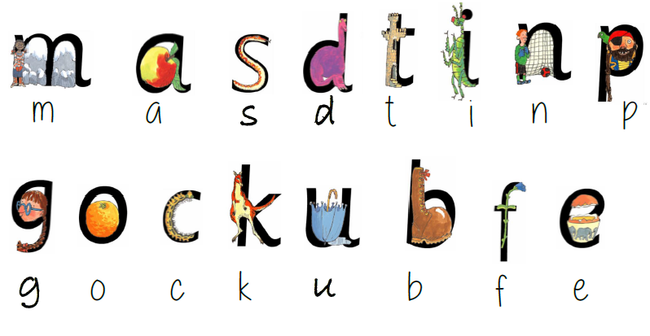 When children know these sounds they should be able to spell any word in the English language phonetically! The idea is they begin to see themselves as a successful writer as quickly as possible. In Year One children consolidate their knowledge of Sound Set 2 by reading the sounds in storybooks and using them in their writing. When they are confident in doing this they begin to learn Sound Set 3. The children learn to read and write these sounds in increasingly more complex words, building up to words of more than one syllable alongside developing their reading fluency and literacy skills through the storybooks.